Gary Payton’s first official signature shoe returns after 20 years. 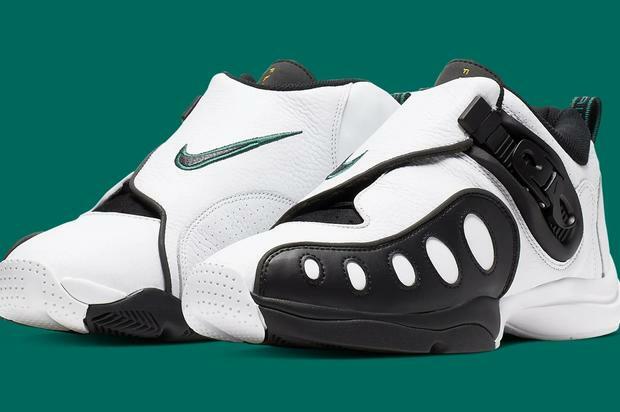 After helping make the Zoom Flight ’98 and the Zoom Hawk Flight famous, Gary Payton was finally given his first official signature shoe by Nike. The shoe was called the Nike Zoom GP, with the GP standing for Gary Payton. Unfortunately for Payton, this was his only real signature shoe, although it still goes down in infamy as being a cult classic amongst sneakerheads. If you were a fan of Payton, you were a fan of this shoe. Well, after coming out 20 years ago, the model is finally being re-released this weekend. If you’re looking to cop these, they’ll be released on Saturday, April 20th for $160 USD. You can check out the more specific details of the shoe below, courtesy of Sole Collector.